WARDROBE IN METAL WITH 6 COMPARTIMENTS “CLEAN/DIRT”. SKU: FLW18. 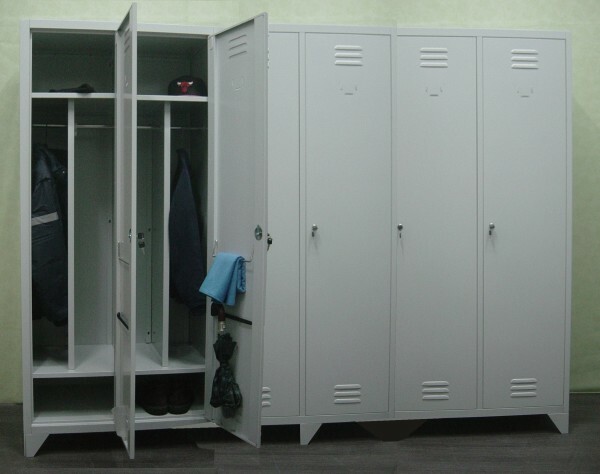 Categories: LOCKERS, Lockers dirty/clean. Wardrobe for 6 people. Each compartment is equipped with a partition to separate the dirty clothes from the clean ones; upper shelf for objects; rod hang clothes with hooks. 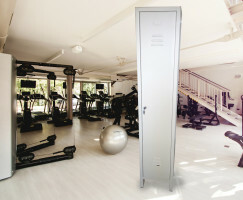 Each door is equipped with ventilation slots, card holder, towel holder, umbrella kit, cylinder lock with 2 keys supplied. 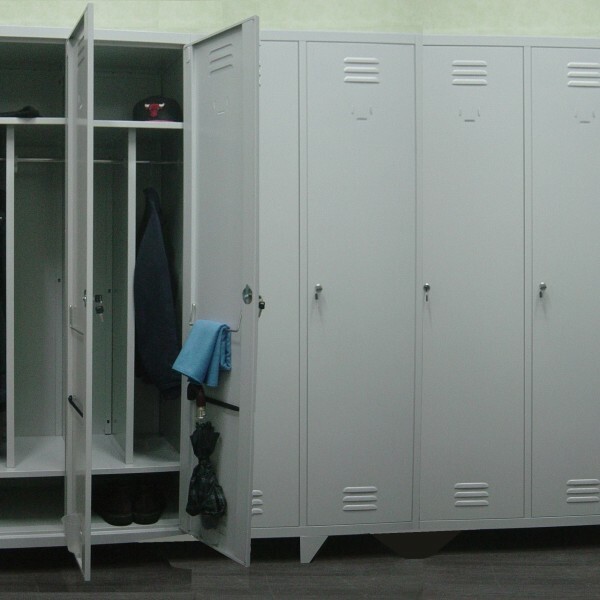 The wardrobe is equipped with adjustable feet. The wardrobe is supplied unassembled. Packaged in 3 necks (+ feet apart): neck 1, neck 2, neck 3. Each package contains a 2-door module that is “added” laterally to the other (2 + 2 + 2) with the snap-on system. The neck 2 and the neck 3 contain a “double side”, which is the connecting element between the single modules with 2 compartments and is positioned in the middle of these. The frames and the backrests of each module are “stuck” on the double side and fixed with a few screws.